Capital University will host Michelle Obama on Friday, October 24. 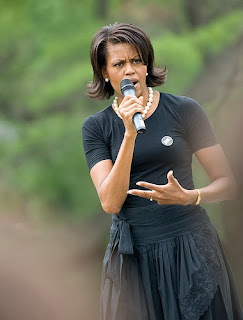 Mrs. Obama has been an integral part of her husband's campaign and has done a few solo visits. The Change We Need/Get-Out-the-Vote Rally, sponsored by Obama ’08, will take place in The Capital Center Performance Arena. Doors will open at 10:30 a.m. The pre-program will begin at 11:50, and Mrs. Obama is expected to speak at 12:15 p.m. The program will last for about an hour. It is free and open to the public, and no tickets are required.